Did you elect to undertake an Accredited Package (not receive an ATAR) but have now decided that you would like to go to University? Did you not achieve the ATAR that you wanted? Or have you been out of an educational setting for a few years and are looking to get back into study? 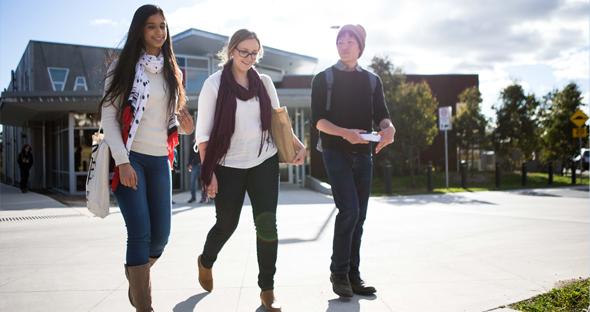 The University of Canberra offers a number of entry initiatives via the University of Canberra College which provide flexible access into our undergraduate degrees. These pathway programs enable school leavers and mature age applicants to participate in higher education. There is a University of Canberra College entry option to suit everyone, so regardless of your situation Don't Panic – we can help you achieve your goals. Parking will be available on campus at a rate of $4.00. Payment to be made upon exiting. Please ensure that you park in the correct bays in P9A or P9C. Accessible parking is also located in P9A and P9C. Please bring along original transcripts and identification (Australian birth certificate/passport or proof of residency if not an Australian Citizen).